Visceral Games and EA, today announced to no ones surprise Battlefield Hardline Premium, an exclusive membership program delivering new content and early access to Battlefield Hardline fans to “fuel their cops and criminals fantasies all year long.” Nothing new here really, its pretty much the industry standard nowadays to pay the price of 2 games instead of just 1 game each year. As I said the “reveal” of Premium should come to no ones surprise since it has been this way since BF3. Its going to set you back 50$ as per usual, and you will receive the main 4 DLC’s which comes with new maps, game modes and the likes, plus other fluff. Masks – New player masks with unique gameplay benefits tied to the theme of each mask. Gun Bench – Provides players with the ability to visually customize their weapons and track their kills per weapon. Competitive Play – Support for competitive play through Battlefield Hardline Premium-access only tournaments and ladders. Legendary Status – Provides replayability of the entire progression system. So, masks with gameplay benefits sounds like the worst idea ever, especially since (I assume) you can only get them by shelling out 50$ on Premium. Battlefield Hardline: Criminal Activity – Players have to make a name for themselves in fast-paced, highly-destructible new maps littered with small-time crime jobs. Available summer 2015. Battlefield Hardline: Robbery – Take down the opposition head on and progress through key locations with major cinematic action. Available summer 2015. Battlefield Hardline: Getaway – This is frantic, high-speed chases that immerse players deeper in the heist. Available fall 2015. Battlefield Hardline: Betrayal – There is a rat in every operation and players will have to find out who to trust. Available winter early 2016. I’ve said it before and I’ll say it again. 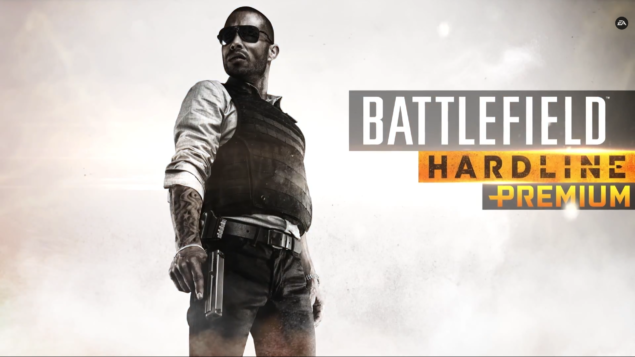 I won’t be getting Hardline, It’s not “Battlefield” in my eyes. I might get it at some point later on, if I can find it somewhere extremely cheap. Battlefield Hardline will be available March 17th, 2015 in North America and March 20th, 2015 in Europe for PC, Xbox One, PlayStation 4, Xbox 360 and PlayStation 3.